(1) After training, Lieutenant Clement Attlee was sent to Gallipoli. We had been expected to be sent to France, but in the late spring we got orders to equip with tropical kit. I realised that our destination was either Gallipoli or Mesopotamia. In June, 1915, we sailed from Avonmouth for the East and had an uneventful voyage through the Mediterranean to Alexandria. I had three or four weeks at Helles experiencing the heat and smells and flies. Like many others, I got dysentery. Eventually I fainted and was carried down to the beach and embarked for Malta. I thus missed the big attack at Anzac where our Division had six or seven thousand casualties, including many of my friends of the South Lancashires. The great venture has at last been launched, and the entire fleet of warships and transports is now steaming slowly towards the shores of Gallipoli. As the huge liners steamed through the fleet, their decks yellow with khaki, the crews of the warships cheered them on to victory, while the bands played them out with an unending variety of popular airs. The soldiers in the transports answered the last salutation from the Navy with deafening cheers, and no more inspiring spectacle has ever been seen than this, of the last crusade setting forth for better or worse. (3) In 1916 Charles Masterman, head of Britain's War Propaganda Bureau, recruited John Masefield to write a pamphlet on the Gallipoli campaign. No such gathering of fine ships has ever been seen upon this earth, and the beauty and the exultation of the youth upon them made them seem like sacred things as they moved away. All that they felt was a gladness of exultation that their young courage was to be used. They went like Kings in a pageant to their imminent death. The campaign came, more than once, very near to triumph, achieved the impossible many times, and failed, in the end from something which had nothing to do with arms nor with the men who bore them. 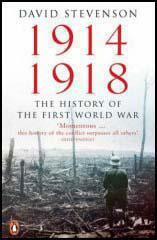 (4) In his book, As it Happened, Clement Attlee commented on the Gallipoli Campaign. 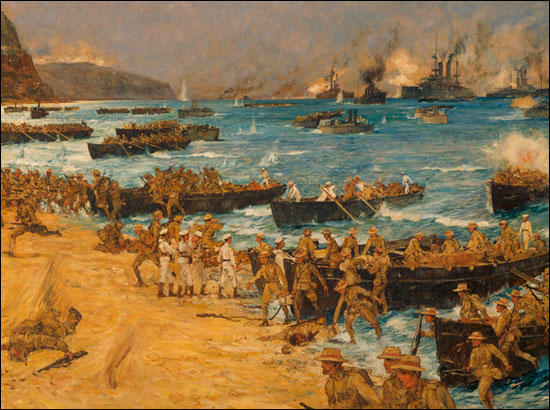 The Gallipoli campaign will always remain a vivid memory. I have always held that the strategic conception was sound. The trouble was that it was never adequately supported. Unfortunately, the military authorities were Western Front minded. Reinforcements were always sent too late. For an enterprise such as this the right leaders were not chosen. Elderly and hidebound generals were not the men to push through an adventure of this kind. Had we had at Sulva generals like Maude, who came out later, we should, I think, have pushed through to victory. We have spent four days in the fire trench. We had only a few casualties. We were put there just after a big attack which had partially failed and the ground between our trench and the Turks were strewn with bodies. It strikes me that they will be there for a long time. In this heat the body and face turn quite black in less than 24 hours and the smell is terrific. The flies - which are myriad - also add to the general discomfort. The enemy's machine-guns were too scientifically posted. Generally speaking the coast is precipitous, and good landing-places are few. In most of these landing-places the trenches and lines of wire entanglements are plainly visible from on board ship. 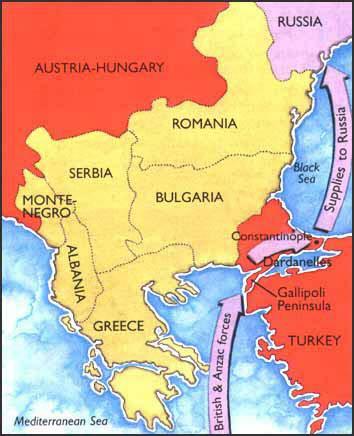 Throughout the afternoon and all through the night the Turks made assault after assault upon the British line. They threw bombs into the trenches. The British repeatedly counter-charged with the bayonet and always drove off the enemy for the moment, but the Turks were in a vast superiority and fresh troops took the place of those who temporary fell back. By 7 a.m. on the first day after the landing, only about half remained to man the entrenchment made for four times their number. Up to the very last moment it appeared as if the landing was to be unopposed. But a tornado of fire swept over the beach, the incoming boats, and the collier. The Dublin Fusiliers and the naval boats' crews suffered exceedingly heavy losses while still in the boats. About 1,000 men left the collier, and of these nearly half had been killed or wounded before they could reach the cover afforded by the steep, sandy bank at the top of the beach. (7) H. W. Nevinson, accompanied the expedition to the Dardanelles in April 1915. He also was there to observe the withdrawal in December, 1915. However, his account in the The Manchester Guardian was held up by the censor and was not published until 14th April, 1916. After the strain of carefully organised preparations, the excitement of the final hours was extreme, but no signs of anxiety were shown. Would the sea remain calm? Would the moon remain veiled in a thin cloud? Would the brigades keep time and place? Our own guns continued firing duly till the moment for withdrawal came. Our rifles kept up an intermittent fire, and sometimes came sudden outbursts from the Turks. Mules neighed, chains rattled, steamers hooted low, and sailor men shouted into megaphones language strong enough to carry a hundred miles. Still the enemy showed no sign of life or hearing, though he lay almost visible in the moonlight across the familiar scene of bay and plain and hills to which British soldiers have given such unaccustomed names. So the critical hours went by slowly, and yet giving so little time for all to be done. At last the final bands of silent defenders began to come in from the nearest lines. Sappers began to come in, cutting all telephone wires and signals on their way.